There is no disputing that, except for the vast majority of Orthodox Jews, American Jews and their leaders have distanced themselves from their Jewish identity. Many express their Judaism by proclaiming a distorted version of “tikkun olam,” which many of their rabbis promote as an espousal of liberal and universal policies. They are totally supportive of the Democratic Party, which many Reform rabbis, in effect, promote as the contemporary embodiment of Judaism. Much of this can be explained by the rapidly changing demographics of American Jews. Currently, most non-Orthodox American Jews suffer from unprecedented levels of ignorance. The Conservative movement, which fought for Jewish education and sought to maintain Jewish day schools, is today a mere shadow of what it was in the 1950s. It is moving closer to Reform Judaism and the leaders frequently echo the sentiments expressed by radical Reform rabbinical leaders. Reform Judaism is the leading denominational group within the Jewish community. Nearly all the rabbis perform intermarriages and the figures suggest that the vast majority of Reform couples include one non-Jewish partner. This is consistent with the statistics which state that, over the past decade, about 80% of non-Orthodox unions were intermarriages. What exacerbates matters is that the overwhelming majority of Reform Jews only attend synagogue on Rosh Hashanah and Yom Kippur. This issue is addressed in a recent brilliant article in Mosaic by Jack Wertheimer (undoubtedly the most astute analyst of trends within the Jewish community). Rabbis are overjoyed to have a unique opportunity on the High Holidays to address large audiences, but many of them, instead of concentrating on Jewish themes, use the occasion to promote the anti-Trump campaign, often urging their constituents to vote in order to defeat the purported “enemy of democracy,” the “anti-Semitically inclined” Trump. An ever-increasing number of these Jews now describe themselves as secular and are utterly ignorant of their Jewish heritage. Their counterparts 50 years ago were quite different. The Shoah and Jewish powerlessness was uppermost in their minds as was their pride in the struggles and achievements of State of Israel which was providing a haven for persecuted Jews from all corners of the world. Most Jews then regarded Israel as a significant focus of their Jewish identity. 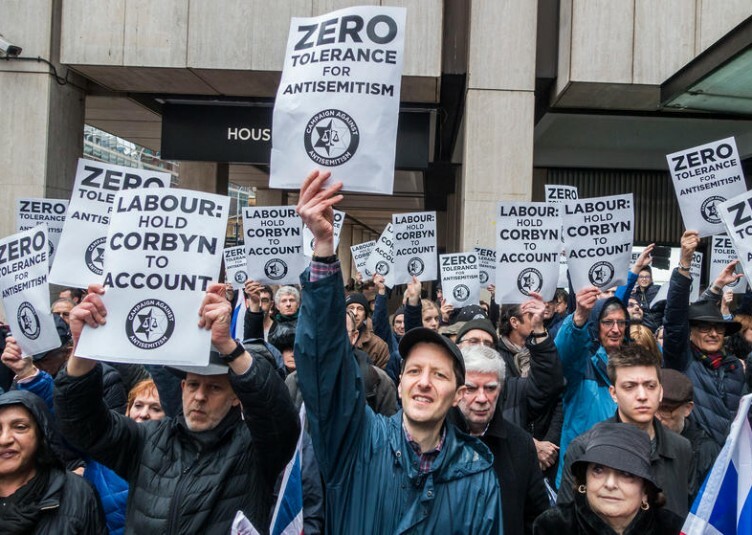 The sad reality is that today, the bulk of youngsters from the non-Orthodox sector are what should be described as non-Jewish Jews because their sole link to their people is through Jewish descent – frequently, from only one parent. They have little or no conception of Jewish values or interest in their Jewish heritage. These Jews not only adhere to but are often at the forefront of the anti-Trump hysteria. 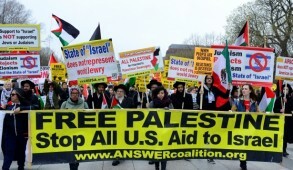 Non-Orthodox Jewish organizational leaders – even traditional Zionists – remain silent or cozy up to their liberal constituencies even as DonaldTrump treats Israel better than any previous American president and, for the first time, is publicly exposing Palestinian intransigency, promotion of terror and the millions of dollars awarded to killers and their families. These same Jews never raised an eyebrow when President Barack Obama was uttering his outrageous statements morally equating Palestinian terrorists with Israeli defenders. Nothing symbolized more the deterioration of those describing themselves as American Jews than when 42% of them (initially headed by Reform leader Rabbi Rick Jacobs) opposed Trump’s decision to transfer the U.S. Embassy to Jerusalem – a decision that overjoyed Israelis. Furthermore, this year the General Assembly of Jewish Federations of North America, which when convening in Israel always meet in Jerusalem, has moved the venue to Tel Aviv. Moreover, at the annual graduation ceremony for Reform rabbis, the guest speaker was the virulently anti-Israel Michael Chabon, who excoriated the Jewish state stating that “security is an invention of humanity’s jailors.” He then proceeded to express his opposition to Jewish endogamy and called for intermarriage. Hardly surprising that rabbis educated in such an environment frequently adopt negative attitudes. 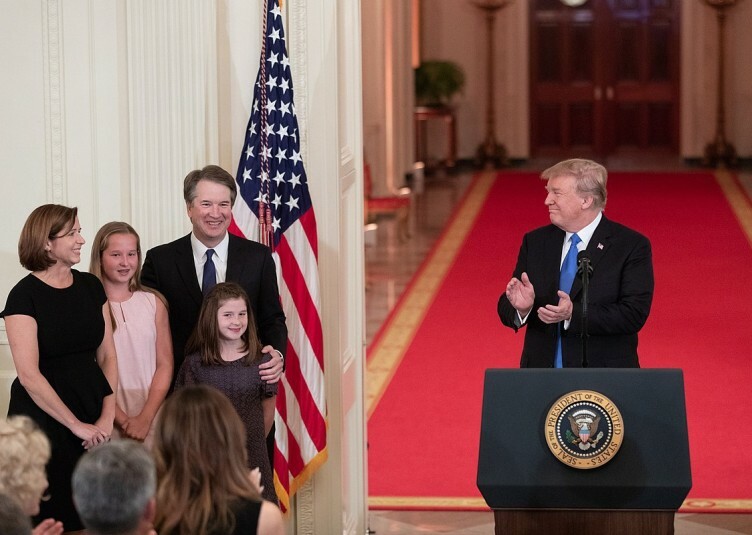 More recently, Rabbi Hara Person, chief strategy officer of the Reform movement’s Central Conference of American Rabbis and publisher of its journal pronounced her “halachic” conclusion that Judge Brett Kavanagh’s alleged sexual assaults had not been properly investigated and Judaism would not have approved his elevation to the High Court. Is this Judaism? Of course, there are still a minority of Reform rabbis who are passionate Zionists and unequivocally condemn these trends. Foremost would be Rabbi Ammiel Hirsch of the Stephen Wise Free Synagogue on New York’s Upper West Side. There are others sharing these views in the Reform movement but, alas, they represent a shrinking minority and of these, many are obliged to provide their congregants what they want to hear. 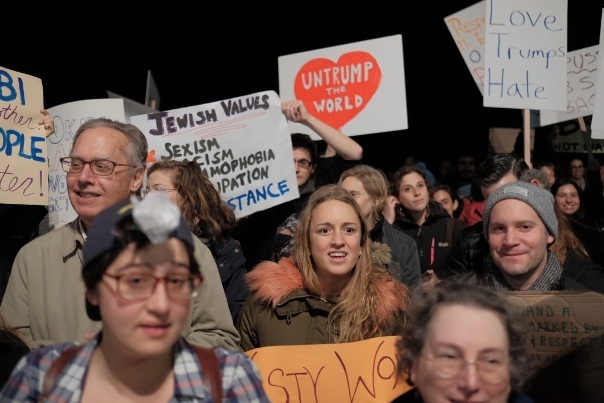 In the current atmosphere, Jewish identity is submerged by the paranoid hatred against Trump by liberal Jews who continue to mourn his election. This is reflected by repeated anti-Trump outbursts by organizations that have traditionally assiduously avoided partisan political issues. The most notorious offender is the Anti-Defamation League, which, since the retirement of Abe Foxman, has effectively become an extension of the Democratic Party and also repeatedly criticizes the policies of the democratically elected government of Israel. At the same time, while the most outrageous anti-democratic behavior and threats of violence are launched against pro-Israel students at virtually all campuses by Muslim and far-left students, the ADL, fearing it will be accused of denying freedom of speech, imposes a curtain of silence or at best mildly rebukes those committing these outrages. An ever-increasing number of the youth and radical students instigated by professors together with those rebelling against being labeled “High Holiday” Reform Jews prefer to describe themselves as secular Jews. Judaism and Israel are very low in their priorities. Indeed, some find it socially advantageous to demonstrate their cosmopolitism by condemning Israel and spurning so-called nationalism or ethnic pride. What is even more outrageous is that American Jewish leaders blame Israel for the erosion of Diaspora relations. 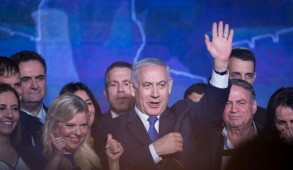 The Reform leaders claim that the source of the problem is Prime Minister Benjamin Netanyahu’s backtrack on the agreement for an egalitarian prayer section at the Western Wall. 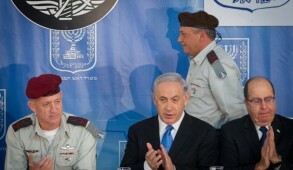 Many Israelis were frustrated that Netanyahu caved in to the ultra-Orthodox on this issue. 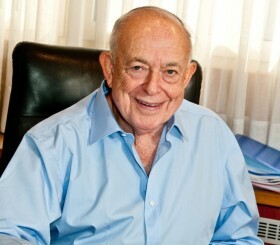 He did so (mistakenly in my opinion) out of fear that the haredim would bring down his government. This became headline news in America with some rabbis even calling on their members to divest from Israel Bonds. The fact is that most Reform Jews have not even visited Israel and only a miniscule number would have been aware of the issue had their rabbis not frenziedly used this as a tool to berate Israel. Israel cannot be blamed for the fact that American Jews, especially the younger generation, are distancing themselves from Israel. The fault clearly lies with American Jewish leaders who have failed to invest sufficient resources and have utterly neglected the Jewish education of their children. The rapidly growing number of illiterate Jews deserve to be called non-Jewish Jews. Little can be done other than a more intensive follow-up on those returning from Birthright trips. 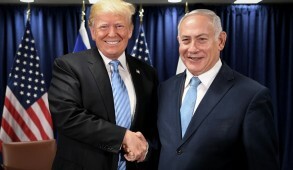 But the lethargy of the current Jewish leadership and the reliance on liberal supporters whose paranoid hatred of Trump, even at the expense of Israel, ties their hands. I fear that despite the efforts made by emissaries from the Jewish Agency and other organizations, we should dismiss our illusions and recognize that a large portion of American Jewry is being overrun by non-Jewish Jews. We must now focus on the significant number of American Jews who are Orthodox and traditional and the considerable number of others who recognize Israel as a crucial factor in their Jewish identity and concentrate on encouraging and strengthening them.